Glass'R'us Hello! Are you looking for a glass shower door for your home? We can offer for you very low prices and very high quality. Affordable glass&mirrors at low prices in New York, New Jersey within a radius of 40 miles Custom approach Budget-friendly prices High-quality American-made glass Modern glass&mirrors We work for you 7 days a week* Our overheads are so small to render you the best prices. You only pay for the glass and our excellent service. Our team has long been creating wonderful shower doors, glass tops, glass backsplash for the kitchen, glass partitions and handrails, mirrors and more. Individual approach to each customer and project. Shower doors and mirrors are custom made. High-quality glass of American production Our glass and mirrors are ideal for your interior The measurement score is free Your glass and accessories will be delivered in the shortest possible time. Free shipping within 20 miles of New York Warranty 2 years. Special conditions for contractors and designers and builders. Each project is individual and its cost depends on many factors The thickness of the glass, its number, shape, style and other parameters such as patterns, pattern, configuration, color. Contact us for an accurate free evaluation of your project in your home. It's the beauty of glass that makes the ordinary extraordinary. Lighthouse Shower Doors Inc., was created to provide professional design and installation services for your shower enclosures needs. Every job is measured and templated with the utmost precision, using the latest technology in measuring devices to ensure that your custom enclosure comes out perfect every time. With over 20 years of combined experience: measuring, fabricating, and installing shower doors, Lighthouse Shower Doors, Inc., has the skill to provide the professional service you are looking for. Lemofet glass specializes in advanced architectural products for designers and architects. 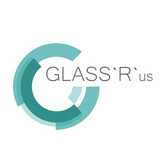 We offer unique, exciting and interactive products including glass floor, glass stair treads, glass steps, table tops and bar tops, antique mirrors , glass bar tops and glass counter tops, painted glass, textured glass, sandblasted glass and other specialty decorative glass products. All of our products are manufactured in-house according to the highest standards, ensuring that they are not only beautiful but also durable and safe. Lemofet Glass, Inc. has built a strong reputation and a long list of devoted clientele thanks to our premium glass products meticulous workmanship, reasonable prices and friendly, professional service. We offer a wide range of glass and glass-related products for residential and commercial applications. Next time you need reliable glass instillation or replacement work, remember Lemofet Glass, Inc. We are dedicated to perfection and to ensuring complete customer satisfaction with each and every job we undertake or product we supply. Lemofet Glass is a full Glass Fabricator in Brooklyn, NY. We are third generation glaziers. We deliver to the tri-state area 5 days a week. Also, we ship nationwide. Lemofet Glass has been providing the community with some of the best quality, service and craftsmanship in the industry. We pride ourselves on our organization & the reputation we have built with our clientele. We strive to provide the best communication and reliability available while maintaining quality and craftsmanship. 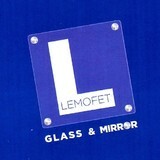 Here at Lemofet Glass we are very particular about whose products we choose to offer. We are always concerned about the best interest of our customers & their ultimate satisfaction. Mirage Mirror and Glass, Inc. has continued to serve Westchester County and the Tri-State area for over 80 years and counting. In 1989, John Count, owner and operator of Mirage Mirror and Glass, Inc. saw potential in the industry and converted Simco Plate Glass, his father Rocco’s company, into Mirage Mirror and Glass, Inc. Today, Mirage Mirror and Glass has grown into an 8,000 square foot shop and showroom which houses the most state of the art machinery in the industry, high quality product lines, custom built shower enclosure and medicine cabinet displays. Our top of the line customer service is designed exclusively for our clients. Mirage Mirror and Glass, Inc. is located right next to the Ossining train station, making us easy for our current and future clients to visit. Our rich history of success is evident as Westchester County’s most established and experienced custom glass and mirror shop. 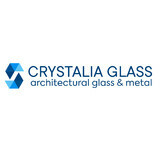 Crystalia Glass company was founded in 2015 and began designing and selling innovative glazing systems. The main priority of our company is to provide the best prices, with no loss of quality. Partner with us and we guarantee that you will receive high-quality products and timely installation. We are always ready to answer all your questions and help in choosing high-quality systems for residential and commercial premises. The professional glaziers of Grossman Mirrors consult, measure, cut on-site and install mirror walls and large unframed mirrors. Their pricing, craftsmanship and turnaround are old-school and unmatched. From basic to complex, Grossman Mirrors installs mirror walls and large unframed custom mirrors in home gyms, home dance studios, bathrooms, dining rooms and living spaces. They also work in members-only gyms, yoga and dance studios and restaurant and hospitality venues. When your space requires a craftsman, call the glaziers at Grossman Mirrors. All mirrors are 1/4" and all work comes with a warranty. Grossman Mirrors is located in North Wales and services the PA and South Jersey counties of Bucks, Burlington, Chester, Delaware, Mercer, Montgomery and Philadelphia. We Pro in Glass Table Tops, Glass Countertops, Glass Kitchen Backsplash, Frameless Shower Doors, Mirrors, Antique Mirrors, Glass Shelves, Glass Floors, Glass Railings, Glass Stair Case, Glass Pool Fence, Glass Doors, Office Glass Walls. Glass Factory NYC was founded more than 30 years ago, in 1987. Since then, the company has been well known for the quality of its production: mirror furniture and various glass goods, including shower doors, partitions, tabletops etc. Today our craftsmen manage all kinds of technologies in manufacturing glass and mirror goods. Glass Factory NYC follows all the latest trends in design and technology to be sure to offer the customers only the high quality glass items. Our in-stock assortment includes not only off-the-shelf items, but also special glass products that can be customized at client’s own taste. New York Tempering Glass provides glass and glazing services in new york, whether its for your home, business or personal requirements. Our Products and services include decorative laminated glass,custom glass backsplashes,color glass, color mirror, antique mirror, emergency glass replacement, window repairs, glass door repairs, mirror installations, glass for balustrades, tinted and other specialty glass types and more. We offer a wide range of glass products in brooklyn,queens,manhattan,staten island,the bronx,nassau county,suffolk county,long island ny,jersey city,new jersey for use in any application. At custom cut glass nyc we are proud of ourselves on providing quality products backed by superior service, while maintaining competitive prices. Contact Us Today for Your Free Custom Shower Door Estimate, we will meet or beat any written offer! ABC Shower Door and Mirror Corporation has been family-owned and operated for over 3 generations, since 1931. It all started with the passion and drive of our founder and great grandfather, Stephen Chustckie, who opened a small glass and mirror replacement company in New York City. “Find .. something,” he would always say, trying to improve upon the methods and tools used to further improve his service to his customers. Over seventy years later, ABC Shower Door and Mirror has expanded, growing to become one of the largest frameless shower door companies serving the United States. Total customer satisfaction has always been and still is our first and foremost goal at ABC Shower Door & Mirror. We are pleased and always appreciative to be at your service. For 70+ years ABC Shower Doors is your one stop shop for custom glass shower doors and enclosures, including frameless, single door, sliding in-line corner & neo-angle glass shower doors. We serve customers throughout the Tri-State area Including NYC, NJ, Brooklyn, Queens, Staten Island, Bronx, Westchester, & Long Island. Frameless glass shower doors are the standard in luxury bathrooms. Let our dedicated glass shower door consultants show you the right style glass door to finish your bathroom the right way. We are proud to offer complete design support services, extensive custom fabrication capabilities, and the very latest in shower door hardware. As a family business, we offer a guarantee of personal service. Dedicated Glass develops long-term, trusting relationships with our clients. We draw our experience and expertise from two generations of glazier work. Currently servicing the Central and North Jersey regions, we believe in the larger purpose of improving and beautifying structures for the benefit of individuals and the community. Our family takes great pride in sharing the art of quality glass craftsmanship with our home state of New Jersey. 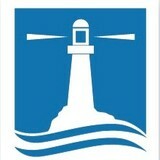 Quality Glass and Mirror Products and Service Since 1961. Family Owned and Locally Operated. 4 Store locations to serve you better. Auto Glass, Residential and Commercial Services. "The Clear Advantage in Glass Products". Alderfer Glass has offered glass products for autos, home and businesses for 3 generations in Southeast Pennsylvania. Our reputation is for the highest quality work and outstanding service all at reasonable and affordable prices. No job is too big or small for Alderfer - we truly are a one stop shop. Have us perform your next glass repair or replacement and see why people have trusted us for over 50 years to excel in glass! "We are a professional company, we have professionals trained to do all kinds of work. We offer the best quality, the best designs, the best prices in New York. We have years of experience and know all kinds of materials, everything you have in mind we can create it, we have exclusive designs to make your home or business an original and beautiful place Beauty of the home depends completely on interior décor you choose. It is the important aspect of a home. It helps in decluttering your entire room just by storing away items in the better way. The shelves come in many different types such as metal shelves, wooden shelves, glass shelves and more. We also service other large facilities such as karate studios, dance studios, physical therapy offices, etc. We are currently the preferred vendor to most of the largest gym franchises in the United States. Our mission is to supply you with a large mirror at a deeply discounted price. Giovani Glass whose employees have a varied skillset in cutting glass, replacing glass and creating glass door panels, window treatments and sliding glass doors among many other talents. Giovani Glass in all areas of glass installation and window replacement both inside and outside. Giovani Glass will repair replace or create any type of glass or mirror for your office or home including decks and outdoor areas." Glass is one of the most useful materials to use in a home, but it takes a skilled glass company in Basking Ridge, NJ to correctly handle it. You use it all around the house, whether you realize it or not — windows, doors, showers, mirrors and more. While glass can be a very sturdy material, it’s also prone to break if not properly maintained. Make sure you hire professional Basking Ridge glass companies to install or repair your products safely so you can live comfortably. What can a local Basking Ridge glass company help me with? If it’s a major home glass repair or replacement, the Basking Ridge glass company should work directly with your insurance company to help bring down costs for you, if applicable. Find Basking Ridge glass companies on Houzz. Narrow your search in the Professionals section of the website to local glass, mirror and shower door services in Basking Ridge, NJ and read reviews and ratings to find one that fits your needs.